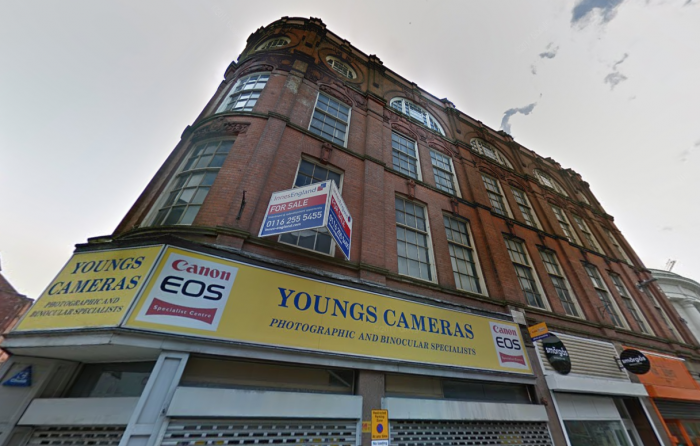 Plans have been submitted for the conversion of the upper floors of a four storey Grade II listed building in Leicester. Adelaide Buildings Ltd, want to create 13 self-contained apartments on the upper three floors at Adelaide House on Belvoir Street, Leicester. The apartments will provide two single-bed studios, seven one bed flats, and four two bed flats. The ground floor of the site is to remain in commercial use. The late 19th century building was built to provide retail premises with two warehouses on the upper floors and now lies within the Market Street Conservation Area. A planning statement reads: “The proposed conversion of Adelaide House to residential apartments will bring back into use the under-utilised upper floors of this Grade II listed building, and although the associated alterations to the listed building are relatively modest in scope they do require some internal changes in order to form the apartments.